This spot shows off the enchanting natural contrast between the lush new greenery and the gradiations of white and pink of the over 80,000 shibazakura flowers. 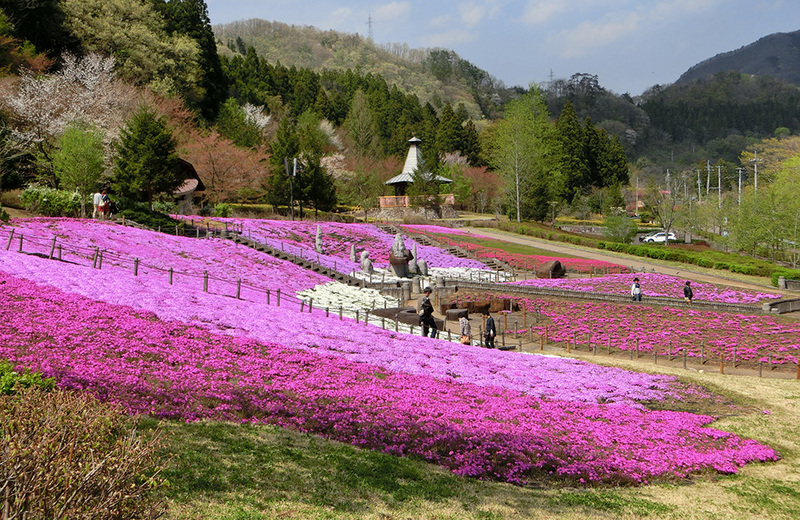 The shibazakura flowers are also known as the “Carpet of Cherry Blossoms,” and are a unique sight within the country. If you aim the camera from below the line of sight, you can create a picture where it looks like people are walking on top of the cherry blossoms. We recommend taking advantage of the mountain’s slope to create a composition with depth!